Ford's famed pony car just got a little more expensive. Order guides reveal prices for the 2019 Mustang have risen up to 1.4% after barely a month on sale at dealers. However, not every car will be getting the same increase. Based on our analysis, the largest price increases will be on versions with the 2.3-liter EcoBoost engine rated at 310 hp and up to 350 lb-ft of torque. Starting this month, each one is getting a base price increase of $275. But that's not all. All Mustangs also get a $95 increase in destination charge since Ford is requiring $995 instead of $900 like it did before. 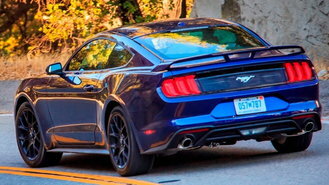 As a result, the cost of the EcoBoost Mustang has gone up by $370, an increase of 1.4% at the entry-level. The EcoBoost Coupe now starts at $27,115 including destination in base form, up from $26,745. The optional 10-speed automatic transmission adds $1,595 for an MSRP of $28,710. The EcoBoost Premium now starts at $32,130, up from $31,760. Convertibles add $5,500 to the base price of either version. GT and Bullitt models have no changes in base price but are subject to the same increase in destination. Price increases aren't all that unusual, but we consider it odd to see a price hike barely a month after our records show the car began arriving at dealers. It's also the opposite of what's happening with its chief competitor, the Camaro. As we reported last month, the restyled 2019 Chevy Camaro is seeing price cuts of up to $3,000. At the entry-level, a Camaro 1LS with 275 hp 2.0-liter turbo will be $905 cheaper than before. Here's how they'll compare in terms of price. 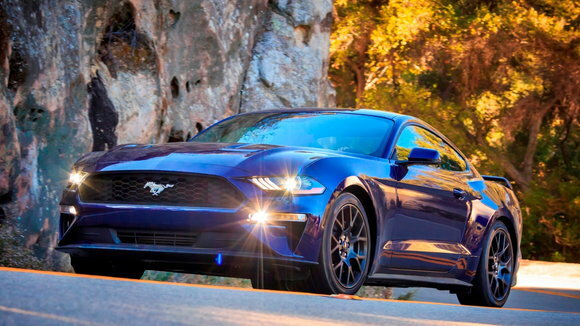 Factoring the cost of an automatic, the 2019 Mustang starts at $28,710. The 2019 Camaro, due to go on sale this fall, will start at $27,490. That gives the Chevy a $1,220 advantage, at least on paper. If you're looking for a deal, consider a 2018 Mustang. Dealers still have a ton in stock and we're seeing rebates worth up to $2,500 based on our review of incentives in most parts of the country. In places like California, we often see a $1,000 trade-in assistance bonus right before holidays. As a result, shoppers could find up to $3,500 in offers under the right circumstances for Labor Day. Should You Buy a Ford Mustang Now or Wait for the 2018 Model?